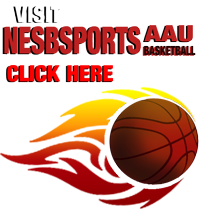 Tyrone Nesby Fall 2017 Mini Camps Register Here! Once again, fall is here and Tyrone Nesby is offering his Fall Mini camps to get kids ready for the upcoming basketball season. Work on individual skills in a small group to help improve chances of making the basketball team. Take advantage of his opportunity to learn from a Former NBA player! There will be 3 mini camps available, take 1 or do all 3! Copyright © 2011 Nes-B sports . All Rights Reserved.